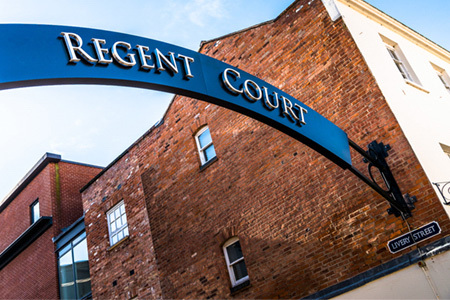 Regent Court is based in the heart of Leamington Spa, offering a selection of well-known and independent eateries, as well as high street fashion, beauty and retail stores. Treat yourself and splash out on a new outfit, take a moment to indulge in our beauty retailer or explore all the latest in Apple gadgetry. Experience cuisines from around the world at Regent Court‘s restaurants, from Japanese and Italian to Caribbean and Latin American. 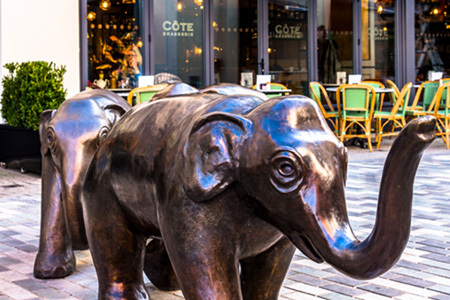 Browse the art gallery or take time out to enjoy light refreshments at one of our independent cafés. Regent Court is open seven days a week, including bank holidays. Individual shop and restaurant opening times may vary slightly so please check specific store pages for details. 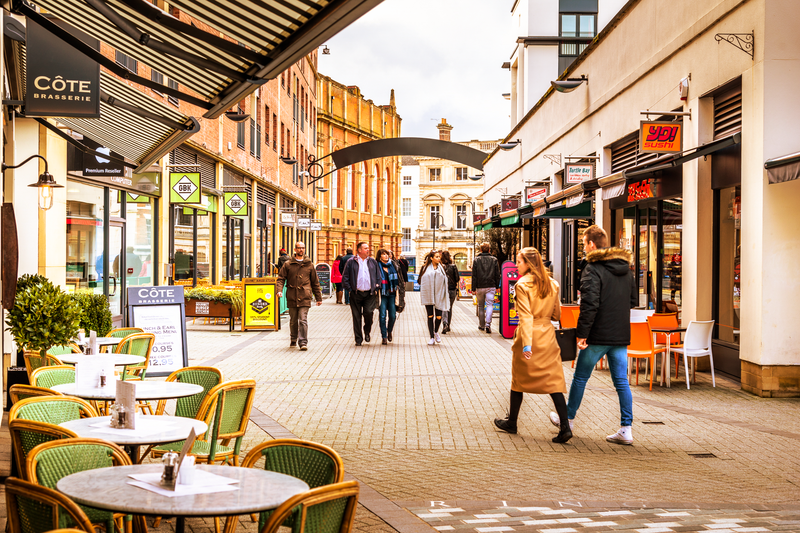 Within close proximity to Leamington Spa railway station and with regular bus services nearby, Regent Court is easily accessible and the only pedestrianised shopping street in the town. All stores are on ground floor level, providing ease of access. Regent Court offers a free WiFi service to all customers, simply log on to ‘The Cloud’ to get connected.